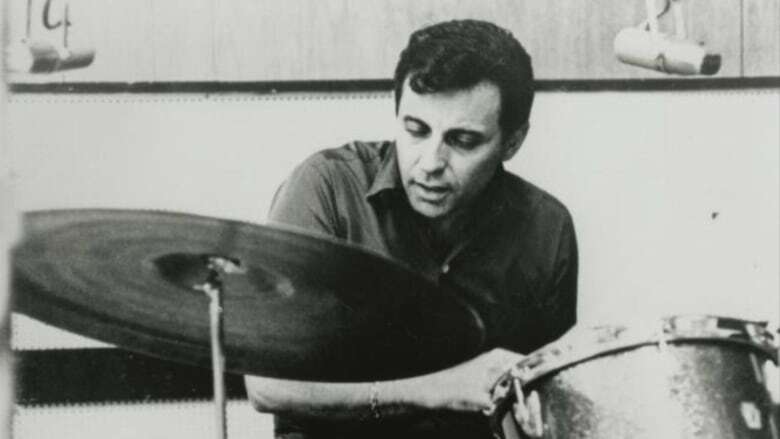 There's a good chance that, before this week, you didn't know the name Hal Blaine — but you definitely know some of the songs he played on. Blaine was a drummer for some of pop music's biggest hitmakers, especially in the 1960s and '70s, among them Elvis Presley, Simon and Garfunkel, the Beach Boys, Frank Sinatra, The Ronettes, Neil Diamond, Captain and Tennille, Petula Clark and countless others. He was also a member of the Wrecking Crew, a legendary collective of session musicians that played on many of pop music's most important albums, and is credited with helping to achieve Phil Spector's storied Wall of Sound production style. This week it was announced that Blaine had died at age 90, and there was an outpouring of tributes from his fellow musicians, from Brian Wilson to Nancy Sinatra. "I'm so sad, I don't know what to say," wrote Wilson on Instagram. "Hal Blaine was such a great musician and friend that I can't put it into words. Hal taught me a lot, and he had so much to do with our success — he was the greatest drummer ever. We also laughed an awful lot." According to the Rock and Roll Hall of Fame, where Blaine was inducted in 2000, the drummer was one of the most sought-after session drummers in L.A., and played on 150 top 10 singles, 40 of which made it to number one. Eight of the records he played on won Grammys for record of the year. "Blaine may well be the most prolific drummer in rock and roll history," says the Hall of Fame site. "He has certainly played on more hit records than any drummer in the rock era." By Blaine's own estimates, he played on more than 35,000 tracks.